Let ConstructionOnline do the work for you. Automate your calendar events, schedule tasks, punchlists, RFIs and more. Make sure your team always knows what's ahead with GamePlan™. 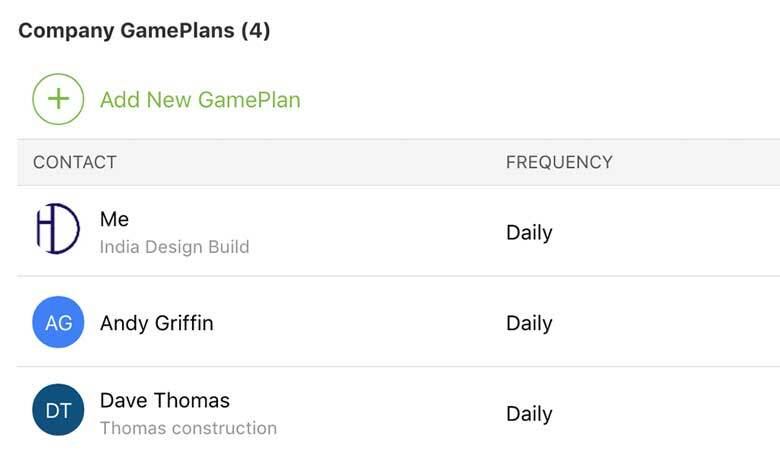 Designed to keep your project team on task and on target, ConstructionOnline™ GamePlan™ emails provide an automatic list of project activities to your team members. Ensure everyone knows what to do and when to do it. The spoils of success are surprising. Your hard work usually brings well, more hard work. That's what we like to call a first class problem, but a problem that ConstructionOnline™ can solve with powerful new GamePlans. Designed to keep your project team on task and on target, ConstructionOnline™ GamePlan™ emails provide an automatic list of activities, meetings, scheduled project tasks, and todos delivered to your subs, suppliers, superintendents, and more. 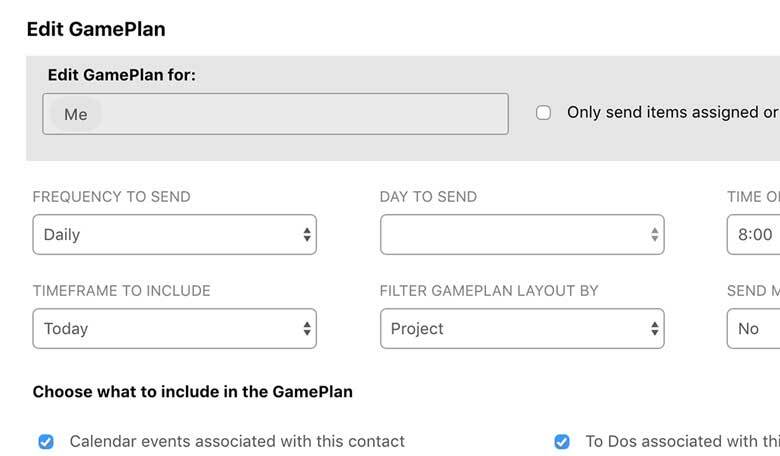 GamePlans are fully customizable for each contact and can even be scheduled to be sent at a specific day or time. Now your project manager can receive a weekly list of responsibilities on Sunday at 5:00 pm and your subs can receive a forward looking list of tasks for the next month. Technology is a beautiful thing with the power of ConstructionOnline™ and new GamePlans. GamePlan™ emails from ConstructionOnline™ give you the power to reach everyone on your team automatically without requiring them to log into ConstructionOnline™ or check for updates. Now making sure that your subcontractors and suppliers are on time and on site is just a few clicks away. 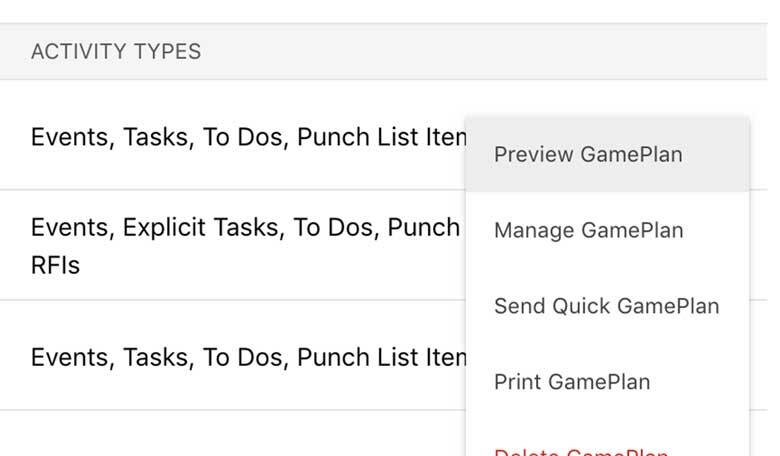 GamePlan™ emails can be custom configured for each of your contacts to include any combination of date range, frequency, time sent, activities, meetings, scheduled project tasks, todos, and much more. We've all been there - too many things to do, too many things to manage, and too many things that need to be right. 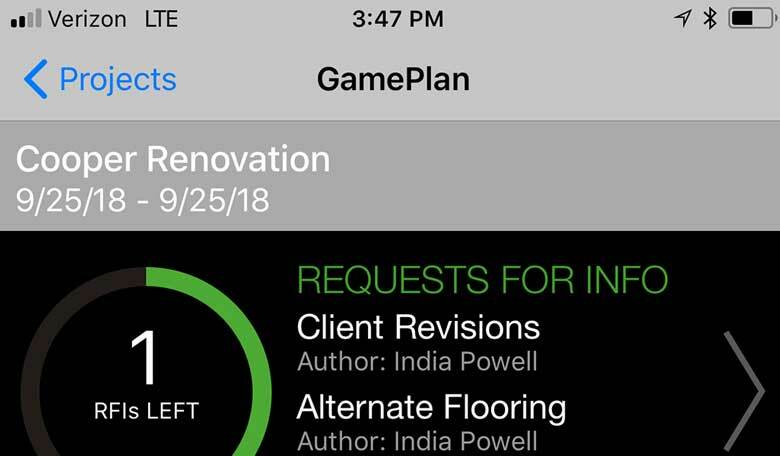 GamePlans in ConstructionOnline™ can be configured to automatically send a custom list of activities, meetings, project tasks, and todos for selected subs, suppliers and other team members. Since repetition is the key to success, GamePlans can be sent automatically daily, weekly, biweekly, and monthly, on a specific day of the week at a specific time. You provide the planning and ConstructionOnline™ does the rest. 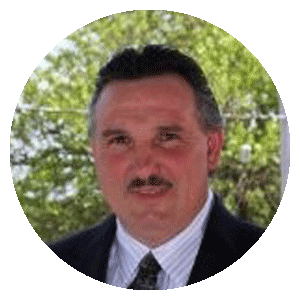 GamePlan™ in ConstructionOnline™ allows me to do more with less people.